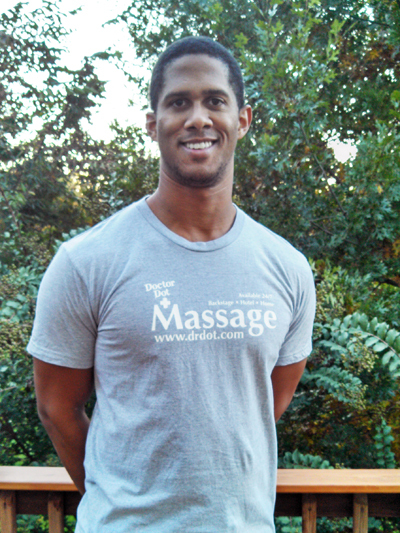 Roger is a Nationally Certified, Licensed Massage Therapist and Certified Sports Massage Therapist. A graduate of Applied Kinesthetic Studies (AKS) Massage School in Herndon, Virginia in 2005. There, he learned that massage therapy was his true calling. The range of modalities that are available for your massage, enable Roger to massage in a way that may be catered to your specific needs. Whether you are in need of basic massage to induce relaxation or suffering from office related injury patterns or maybe your body needs to unwind with a deep tissue massage from the daily stress that your body is under. Professional athletes have also counted upon him to deliver a good sports massage to hasten their recovery time, allowing for optimal physical performance. Certification in Sports Massage has given Roger training and experience in PNF Stretching, soft tissue therapy, range of motion testing and Trigger Point Therapy. A combination of all his techniques are used to give you the complete massage. Roger\\\\\\\'s touch is best described as firm and soothing to the muscles.